Instead of overpaying in taxes, you can better steward the money God has blessed you with. Here's how! Find your Tax Services Advisor today. If you’re getting a tax refund back this year, know this: Uncle Sam loves you. Why? Because you’ve been loaning him your own money—interest free—all year long! Your tax refund is just the government returning your own money to you. In other words, a tax refund isn’t free money, a gift, someone else’s money—or a good thing. That’s right. A big tax refund is no good. Yet lots of people proudly announce they’re getting a refund as if they’ve won the lottery, because they just don’t know how tax refunds work. But even if they do understand, they treat overpaying throughout the year like a forced savings account. If you fall into the first camp, well, now you know. And if you’re in the second, consider this: Do you want to trust the government, whose national debt is almost $20 trillion, to act as your savings account? Neither do we. You can better steward the money God has blessed you with. According to the IRS, the average tax refund in 2016 was nearly $3,000. That means the average person who received a refund was loaning the government $250 every month! That’s crazy—and a whole lot of money. Instead of overpaying in taxes, you could have used that cash to pay off debt, give to your church, or build wealth. And even if you did want to save for a big upcoming purchase, your money is safer when it’s in your hands, where you—not the government—have control over it. It may be too late this year, but it’s not too late to minimize your refund next year. The first chance you get, head straight to your human resources department and adjust your withholdings so that you’re paying less in taxes out of each paycheck. 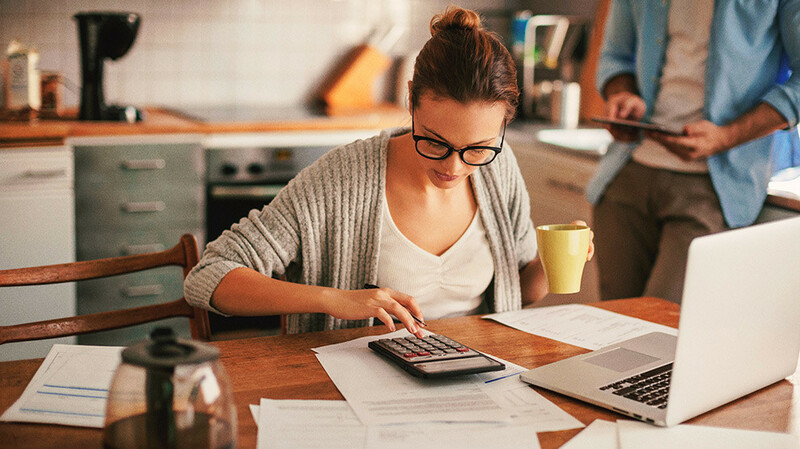 Your tax pro can help you estimate how much to adjust. Related: Find your Tax Services Advisor today. Okay, so you received a tax refund this year. What should you do with it? Well, in Proverbs 3:9, we’re reminded to honor the Lord with the firstfruits of our wealth. We do that in the form of a tithe. So before you do anything else, consider whether to tithe off of your return. If your general rule is to tithe off your gross income, then you’ve already tithed on whatever you’re getting back. But if you tithe on net, you wouldn’t have tithed off of your tax refund yet. In that case, go ahead and set 10% of your refund aside for your tithe. Then, what you do with your return is just a matter of where you are in the 7 Baby Steps. If you’re just starting your financial journey, for example, you should use your refund to set up your starter emergency fund. If you’re already debt-free with a full emergency fund in place, you might create a savings fund for that new car or new house you know you’ll be buying in the next few years. But you also might use it to start investing, save for your child’s college education, pay off your house early, or give above and beyond the tithe! If you’re getting a refund this year, make the best of the situation and use it as a tool to move forward in your journey toward financial peace. But remember that in the future, it’s better to have that money available all year long! The Endorsed Local Provider (ELP) program is a nationwide service that helps you find trustworthy, local experts. The certified professionals we recommend are in excellent standing in their industry and provide top-notch customer service. Find your Tax Services Advisor today.